Giving a bit of love to a street dog wouldn’t seem like a big deal in most places, but in a country that sees dogs as “impure,” just taking one for a walk puts an owner at risk of arrest and a public lashing, and extermination for the pup. 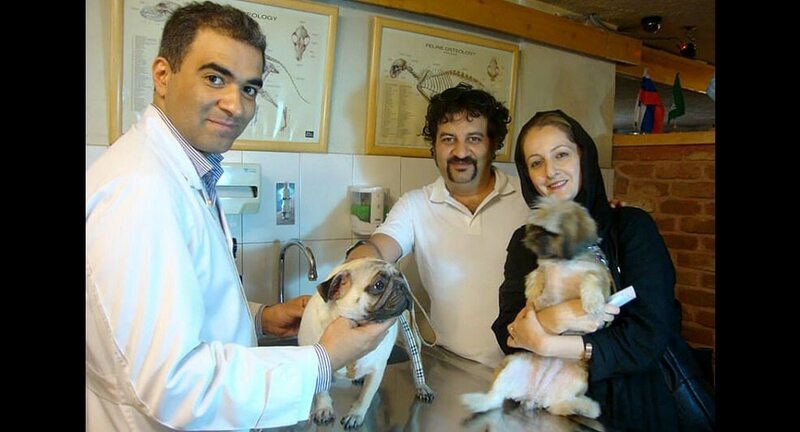 Veterinarian Payam Mohebi is running for a seat on Tehran’s city council to change that. There are 21 seats on the city council, and Mohebi has campaign posts around the city featuring him posing with a street dog. He knows this is putting him at risk of serious repercussions, but is willing to sacrifice his safety for the rights of animals. Over 8,000 candidates are running for the positions, and unlike in national elections, which only see conservative entrants passing a screening process by the Guardian Council, they are vetted by the Parliament, which currently has a slight majority of reformists and moderates. Quality of life is what Mohebi is all about. 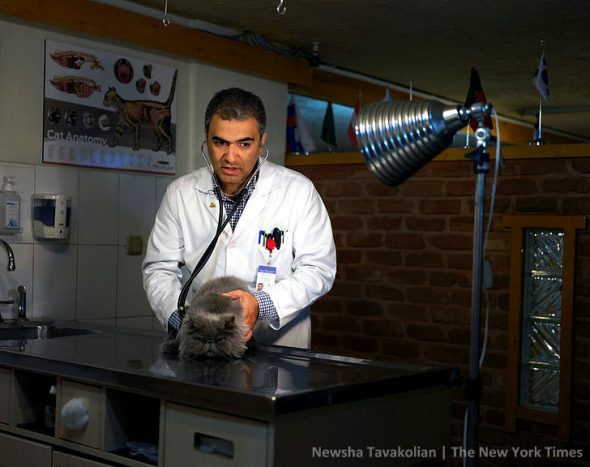 He opened Tehran’s first pet hospital in 2002, and is now in the stages of opening a 10-story clinic, set to be one of the largest in all of the Middle East. “People said I was crazy, but I saw change coming. Iranians wanted pets,” he stated. Citizens have more money and freedom and are paying more attention to social rights than they were 15 years ago, but the laws have yet to reflect the wants of the people. Though it is legal to have guard dogs, they are not supposed to be allowed inside. Dog owners face fines of $2,500, 60 lashes, and having their pets killed. Many opt for smaller breeds that are more easily hidden, and people walk their dogs at night to escape being seen. He is already seeing a number of local followers on social media service Telegram. “I love Payam, because when he gets elected I can walk safely with my dog,” Behnaz Mehdikhani posted. 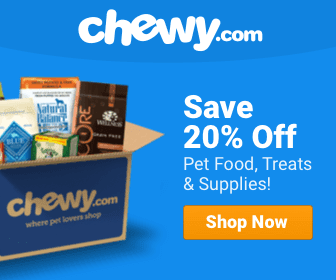 If elected, the vet would work to abolish pets being euthanized. This is pretty interesting though !